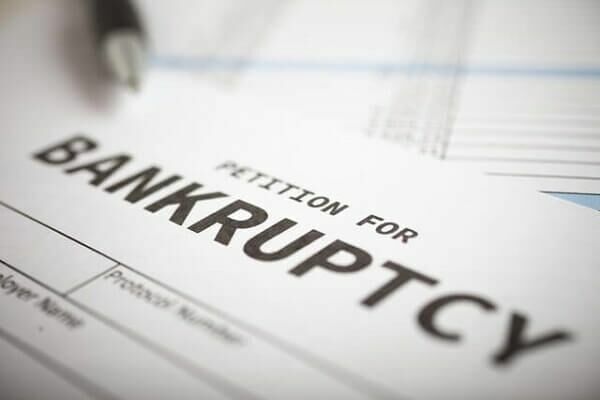 A Quick Guide for Companies Considering Chapter 11 Bankruptcy - Hames Anderson Whitlow & O'Leary, Attorneys at Law, P.S. Bankruptcy, whether personal or business, is a procedure governed by federal (not state) laws. Because it is a federal procedure, bankruptcies run through the Federal District Courts rather than state-level courts. As a business owner, you have options when you find yourself unable to meet debt obligations. Not only can you choose to liquidate, but you can use a Chapter 11 bankruptcy that will allow you to reorganize rather than close your doors. With Chapter 11 bankruptcy, you have a trustee appointed to your case. The trustee controls your company’s assets, but you remain in control of the day-to-day operations. Essentially, the trustee is the court’s security blanket, which ensures you repay debts as outlined in your court-approved plan. What Can Chapter 11 Do for a Richland, WA, Company in Trouble? Chapter 11 is a reorganization. Therefore, it allows you to keep your business running, and creditors receive payment on debts due. It also allows you to preserve jobs for employees, maximize value for current shareholders, and protects stakeholders from losing their investments. Creditors are paid back in part, but not usually in full. The most significant advantage of Chapter 11 for a business is that you receive relief from your creditors. No longer will creditors call to harass you for their payments. Instead, your attorney files the petition for Chapter 11 and you receive instant relief from creditor collections. The relief, known as a satay, stops all collection processes while bankruptcy is active. When your attorney files Chapter 11, they propose a repayment plan to the court that would repay creditors over a set timeframe. While the process sounds simple, Chapter 11 is a highly complicated process involving a few difficulties you should be aware of. Also, you should consult with a business attorney to determine if Chapter 11 is the right step for your company. What Businesses Can Use Chapter 11 Bankruptcy? Corporations: Corporations may file Chapter 11. But in this case, the personal assets of any stockholders are not at risk for liquidation – protecting their investment. Instead, only the business assets would be considered for reorganization. Small Businesses: Small businesses are any entity in commercial activities or businesses with fewer than $2,490,925 in creditor claims. When small businesses file for Chapter 11, the process differs from a corporation, including things like extending time to submit reorganization plans and waiving disclosure statements. Partnerships: Partnerships can file for Chapter 11, but personal assets may be subjected to liquidation unless each partner files for individual protection. Sole Proprietorships: As with liability, a sole proprietorship means that the business owner’s assets are not separate from personal assets. Therefore, filing for Chapter 11 means personal assets would be at risk for liquidation. Chapter 11 has specific features that some business owners find appealing while others find them as a turn-off. Review these features to see whether they work for your financial situation. An attorney can better assess what benefits and disadvantages would apply to your company’s specific case in a consultation. The biggest benefit for companies is their automatic stay. This forces creditors to stop all collection tactics while the bankruptcy process is progressing. Similar to an injunction, the automatic stay disallows creditors from requesting payment and gives you financial relief. In some instances, creditors may still collect, but these situations are limited. While you are in the repayment process, you can sell, lease, and handle your business property without requesting court authorization first. However, you cannot sell or lease outside of ordinary course of business operation without court approval. It is best to consult with your attorney to see what is “normal” to the court and what might be considered under the court’s purview. During Chapter 11, you may not have enough cash to carry on operations. You must agree with a new lender or receive court approval before obtaining new credit. Luckily, the bankruptcy code does have provisions that allow lenders to make loans to someone amidst Chapter 11. While you are in the middle of Chapter 11, you can run your business as usual. That being said, you are still required to obey all obligations created by the court. This includes regularly reporting to the trustee (typically monthly), attending the 341 hearing, paying quarterly fees to the trustee, and negotiating with creditors when requested. How Does the Chapter 11 Plan Work? Your attorney and the creditors must agree on a plan that pays creditors fairly but also satisfies the court. The period for a Chapter 11 repayment can be as long as 20 years, but most are well below it. Creditors are also paid by priority, which means creditors (like federal tax payments to the Internal Revenue Service) and those with secured claims based on your company’s assets would receive payment first and be paid more than unsecured creditors. You cannot begin repayment until the creditors agree and the court approves the plan. Once the plan is confirmed, then the hard part is over and you will continue operating your business and repaying debts until you complete the plan. Filing for Chapter 11 bankruptcy is not a decision you should make lightly. Instead, consult with a bankruptcy attorney at Hames, Anderson, Whitlow & O’Leary. While most businesses benefit from Chapter 11, your company’s circumstances may warrant an alternative. Our team reviews your company’s obligations, finances, and assets to help find a solution that works for your company’s goals. Schedule a consultation with a business bankruptcy attorney today by calling 509-586-7797 or requesting your consultation online.